The economy of CS:GO has attracted both high-rollers and chumps. From the process of opening chests & receiving skins to trading or selling skins, getting involved in the CS skin game is fun for all! 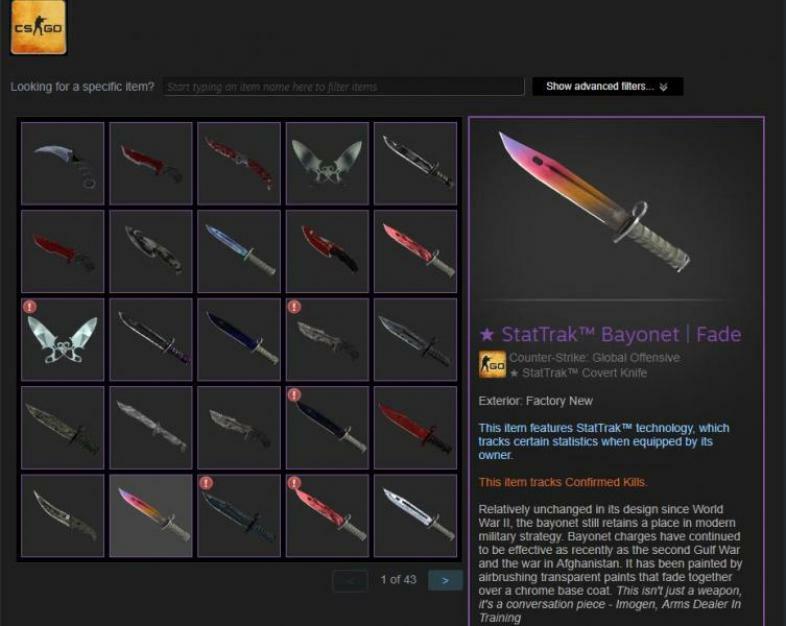 Skin trading, and the economy based off it, has become an integral part of CS:GO's popularity. Valve Corp’s tactical first-person shooter, Counter-Strike: Global Offensive, has a huge and legitimate economy. Centered around weapon skins (of varying rarity) that players receive from “weapon crates”, CS:GO’s economy involves both selling skins (credited to the user’s Steam balance) or trading skins with other users. If you are interested in becoming a CS skin mogul or simply want to know of new ways to trade your skins, here is a list of the 5 best CS:GO trading sites. With over 40-million trades, CS Money is a trading website that has been around since 2016. With the most users and website design, CS Money is undoubtedly the best skin trading website on this list. The only one to utilize G2A Pay integration, this is the go to skin trading website any respectable skin trader should use! With 1-million trades CS.Trade is the clear number two trading site to use. Established in 2018, CS.Trade offers a more colorful, yet similarly polished, domain for skin traders. On the webpage's banner, sponsorship deals & affiliate opprotunities (as well as give-aways) are mentioned showing CS.Trade's intent to grow their influence in CSGO skin trading. Only being around for a few months, CS.Trade is already a trustworthy & reliable way to trade skins! Despite the colorful & styalized banner, CSGO Swap chooses function over form. CSGO Swap's page consists purely of the trade panel, a link to a youtube video (showing how to use the service), a giveaway page, and social media pages. With only a white background, CSGO Swap is the purest form of skin trading on the list. A good website for the experience trader, Swap is a great way to trade your skins! The website for the social skin trader, CS.DEALS is the complete package. Obviously, given its inclusion on a top 5 CSGO trading websites list, CS.DEALS provides a great way to trade your CSGO skins through its client. However, the unique part of Deals is its chat function. On the left side of the page is a fully fleshed out chat system allowing you to communicate with fellow traders directly through the website, allowing you to bypass the pain of having to use the Steam chat! The black sheep of the list, LOOT.Farm is the only website on the list to offer trades for CS:GO, as well as 2 other games (DOTA 2 & PUBG). Over all three games, LOOT.Farm has facilitated almost 10-million trades. LOOT.Farm is definitely a great CSGO skin trading website with the added bonus of allowing you to trade skins from the two most played games on the Steam client!